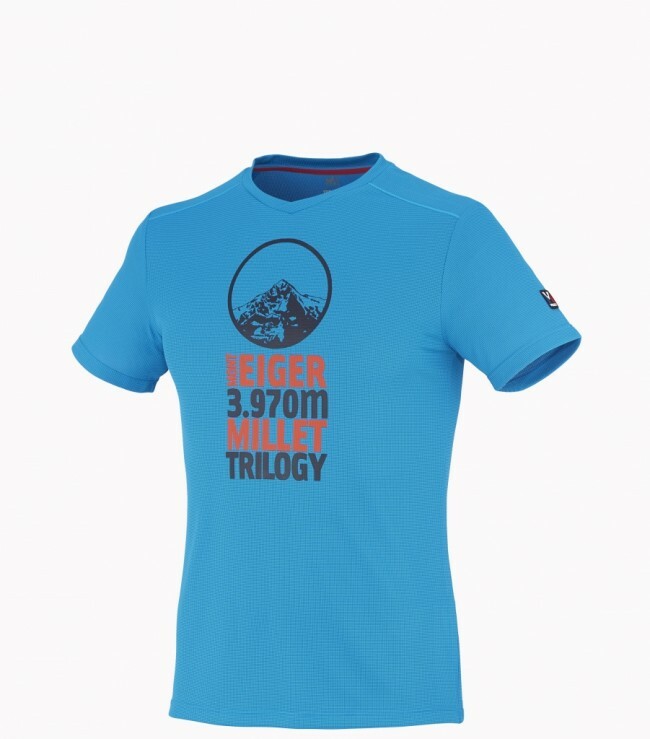 New this summer, this short sleeve T-shirt is designed for the keen mountaineer and built for high mountain environments as well as everyday adventures. Trilogy Series. 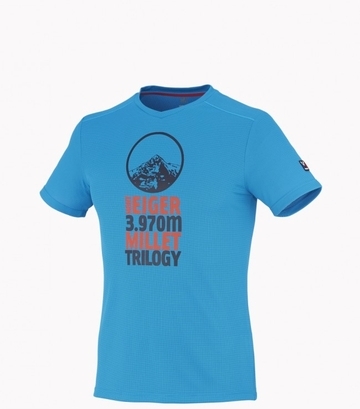 The Dry Grid short sleeve T-shirt is designed for the keen mountaineer and delivers comfort through a wicking and quick drying fabric. The Polartec� Power Dry� Grid fabric is designed to keep you dry, even when you sweat. Manufactured using an exclusive double-sided knitting process, it combines a moisture-wicking inner surface and a quick drying outer surface. The Dry Grid Polo is ideal to wear as an underlayer to complement a protective shell, on expeditions, hiking sessions and as a stand-alone piece, for everyday comfort. The graphics and colour combos draw its inspiration directly from the 1980's and mountaineers from Millet's team �ric Escoffier and Christophe Profit's challenging solo peak bagging winter ramble of the three North faces: Cervin, Eiger and Jorasses.